Hit one of the biggest vacation destinations in the southeast with private charter bus transportation from Shofur. We have access to buses across the nation for groups to utilize during their trips across South Carolina and beyond. Give us a call at 1-800-436-8719 to find the best rental vehicle for your travels around Myrtle Beach. Our reservation specialists are here to help you 24/7! Myrtle Beach is a destination that has something for everyone. From beautiful beaches to amusement park entertainment, groups of all ages and backgrounds will find an attraction to fit their itinerary. No matter what brings you to Myrtle Beach, Shofur will get you around the area in a safe and efficient charter bus. Large groups traveling to the beach town for events like family reunions or school field trips can choose from models of full-sized motorcoaches, which can comfortably accommodate up to 56 passengers. Smaller groups also have various options of minibus to choose from for their Myrtle Beach travels. Even smaller models of charter buses can include additional amenities like reclining leather seats, WiFi and power outlets, televisions with DVD players, auxiliary ports, and more to make your trip as smooth as possible. You can’t visit Myrtle Beach without visiting the beautiful stretch of beach and natural parks in the area. The actual beach and boardwalk of Myrtle Beach can be busy, especially during peak travel seasons. Groups of all types can appreciate the beautiful ocean views, aquatic fun, and clean beachscape of this popular vacation spot. Myrtle Beach State Park sits adjacent to the bustling beach with hundreds of acres for visitors to explore. The park is relatively quiet compared to its beach counterpart and offers a fishing pier, walking trails and a nature center. Whether your group is traveling for a field trip at the nature center or you’re just a group of family and friends, Shofur will get you around Myrtle Beach’s best outdoor nature-oriented locations. If you’re planning an outdoor trip, your entire group will make stay together on the same schedule while traveling in your own private charter bus. After a long day of catching some sun and exploring nature’s beauty, your group can relax in reclining seats and the climate-controlled interior of your charter bus. Your driver will take care of the roads while your group sits back in a spacious motorcoach. Groups traveling with children will find an endless number of things to do in Myrtle Beach. From the many attractions in Broadway at the Beach to musical shows at the Carolina Opry, groups of diverse ages will find entertainment in this waterfront town. Enjoy an educational day at Ripley’s Aquarium or admire views from the Myrtle Beach SkyWheel at the Oceanfront Boardwalk and Promenade. These attractions are perfect for school field trips along with private groups of friends and family. Shofur will pair your group with the most suitable charter bus to meet everyone’s travel needs around Myrtle Beach. Groups traveling with children can relax knowing each bus we charter is equipped with modern safety features and each professional driver has passed thorough background checks. 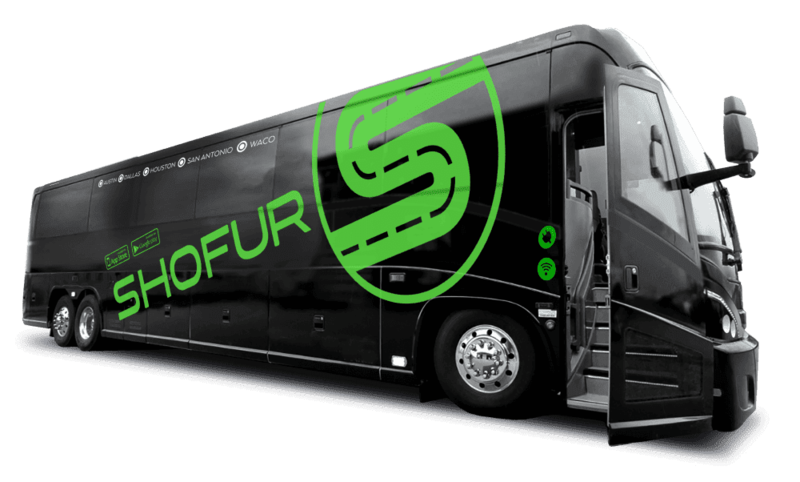 Every traveler will be in safe hands with charter bus transportation provided by Shofur. Myrtle Beach offers some of the most picturesque views along the east coast. This makes it a wonderful location for weddings! Locals and out-of-towners planning a destination wedding can utilize a charter bus as a wedding shuttle. Guests won’t have to worry about locating the venue in an unfamiliar city if they're coming from out of town. Each wedding shuttle includes a professional driver familiar with the area to get guests around town. Before the ceremony and reception commence, we can even provide transportation for bachelorette and bachelor parties. Shofur and your professional driver will handle the wedding transportation from start to finish! Let Shofur help you organize the travel logistics of your next Myrtle Beach trip. Our rental representatives are available around the clock to answer any questions and provide free, personalized quotes. Easily travel throughout South Carolina to Myrtle Beach, Columbia, Charleston and beyond. Call us today at 1-800-436-8719.